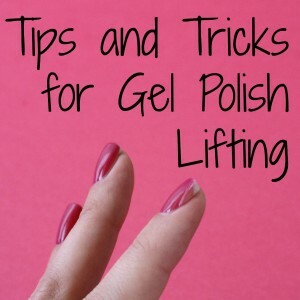 One of the hardest things about buying gel polish is deciding what color to buy. Obviously it’s hard because I want All the Colors! But, it’s also really hard because you have no idea what the color will really look like until it’s on your nail. 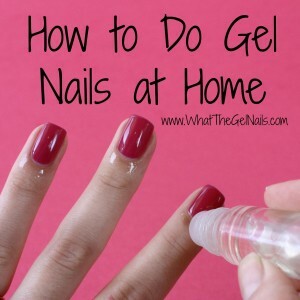 This is mostly because gel polish bottles are opaque so the UV rays from the sun can’t cure them while inside the bottle. 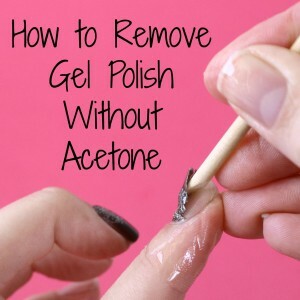 One thing that makes gel polish purchasing easier is online pictures of gel nail polish colors. Yeah, for the internet! 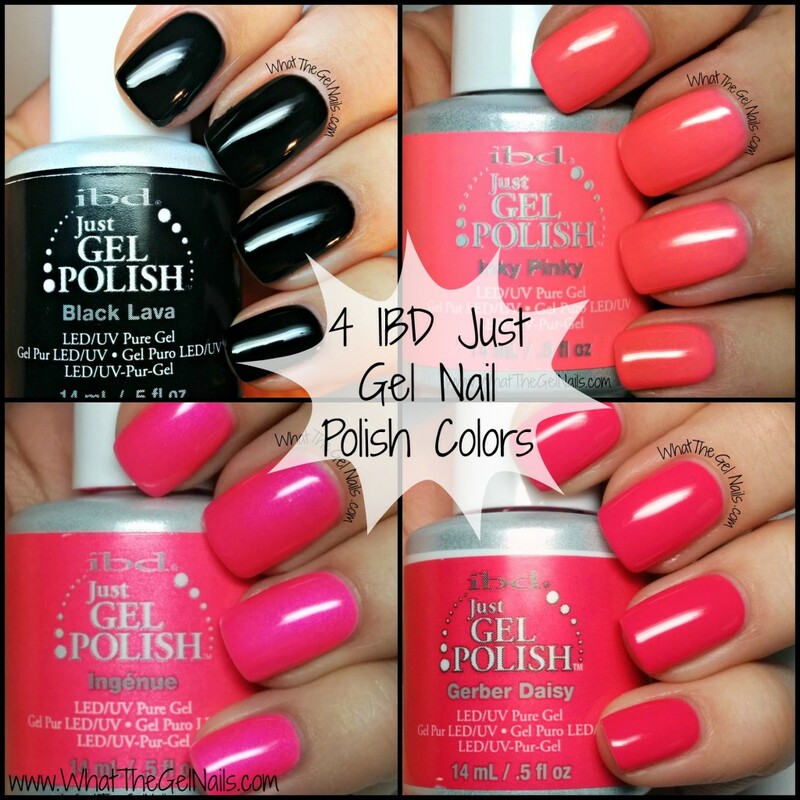 Anyway, I have 4 exciting IBD just gel swatches today to help you with your gel polish purchasing. They are awesome! I love this color so much! 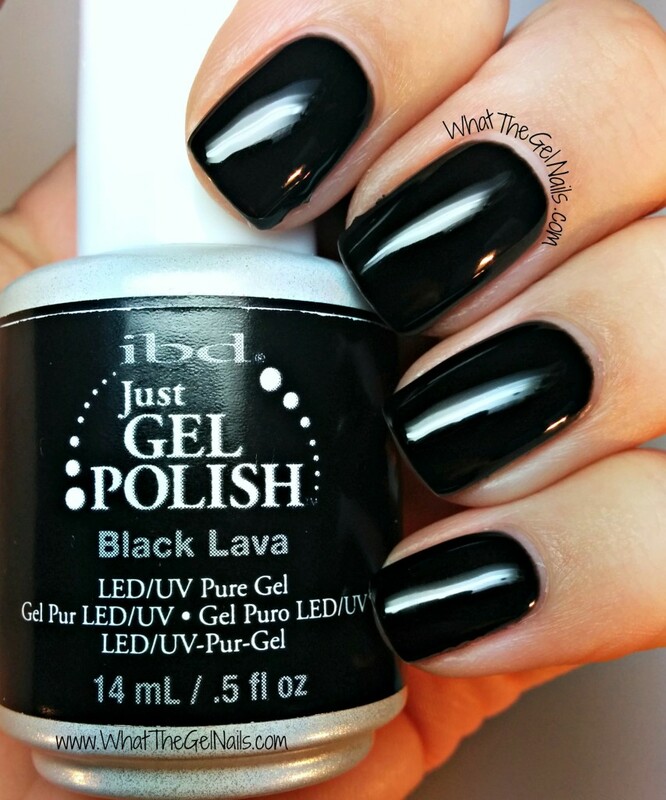 This color took 3 full coats to be completely opaque. 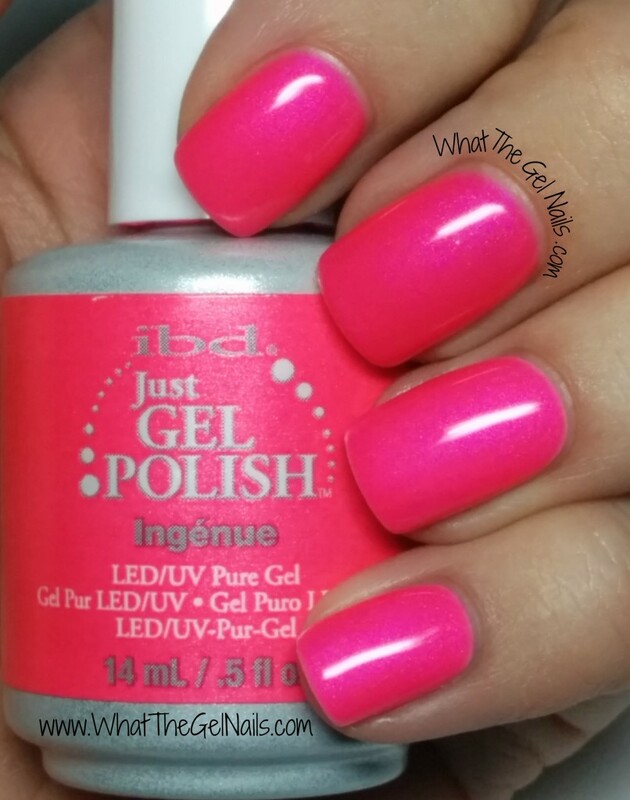 I love that this pink has a yellow undertone because anything with a yellow undertone usually looks horrid next to my skin, but pink is a magical color that always looks good on me. This color is certainly proof of that. The shimmer is very subtle and hardly noticeable unless you look right up close, but it really takes this color to the next level. Compared to the other pinks in this post, this color looks kind of orange-ish, but I promise in real life, it’s a bright pink. This is the ultimate summer pink in my mind. I love it! 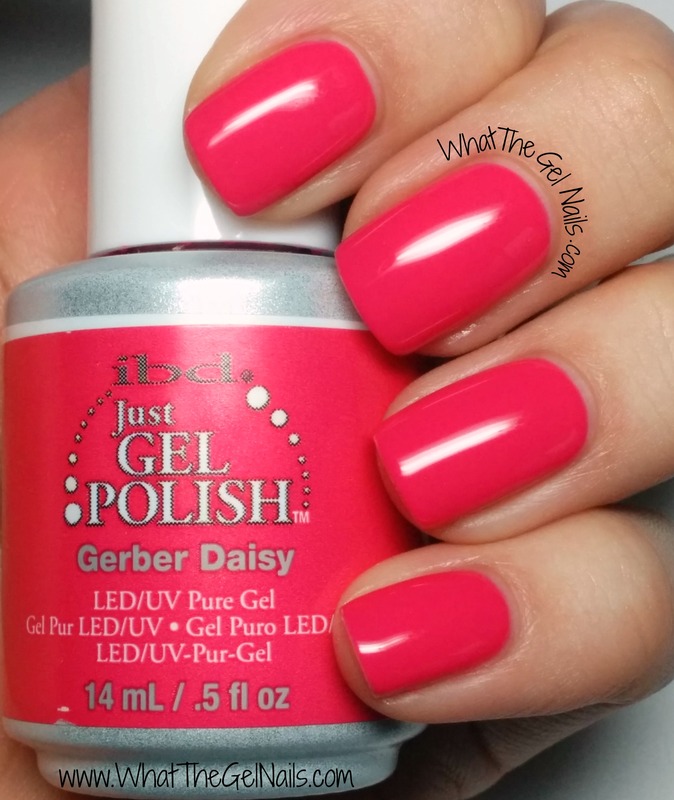 This is a bright neon pink and it is just gorgeous! 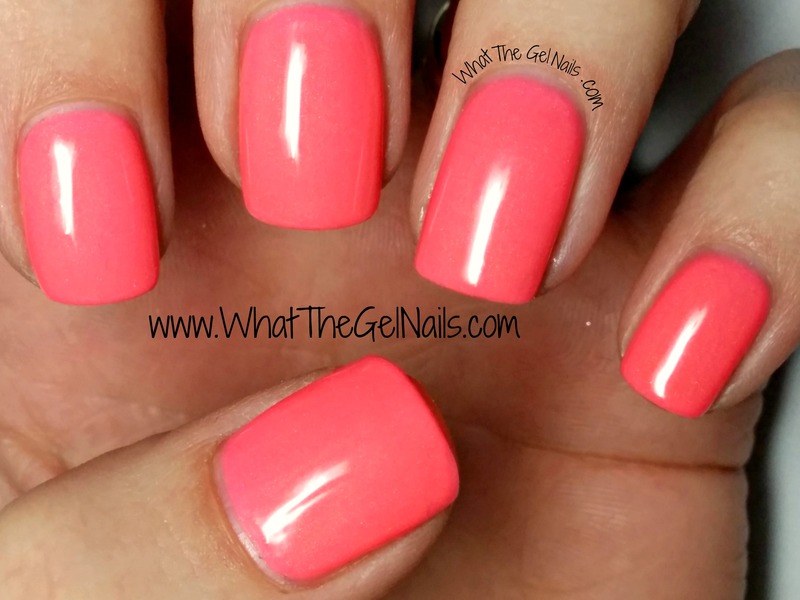 I did one coat of white nail polish on my ring finger and pinky so you could see that white makes the neon pop. 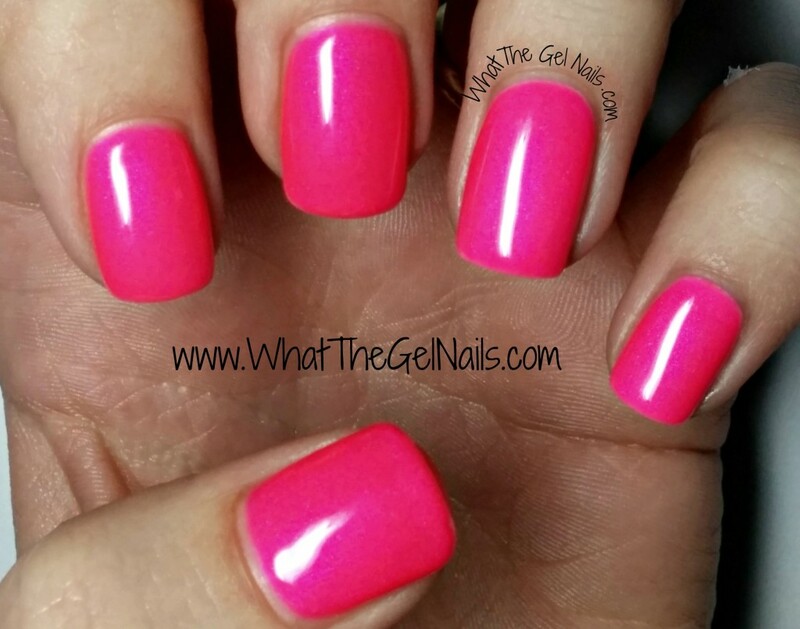 I did one coat of white, then 2 coats of Ingenue on my ring finger and pinky and they look so bright and neon! It’s awesome!! On the pointer and middle finger I did 3 full coats of Ingenue, then a 4th thin coat because I’m OCD about opacity. Without the 4th coat the difference between the fingers with one coat of white and the ones without was really obvious. With the 4th coat of Ingenue, the difference isn’t as pronounced, but you can still see that the ring finger and pinky really pop. 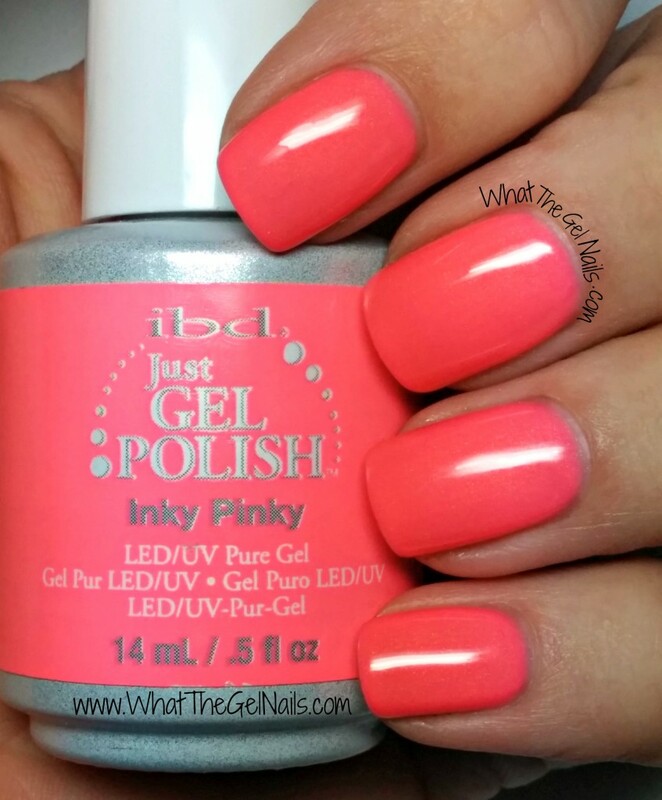 This color is awesome and also perfect for summer! 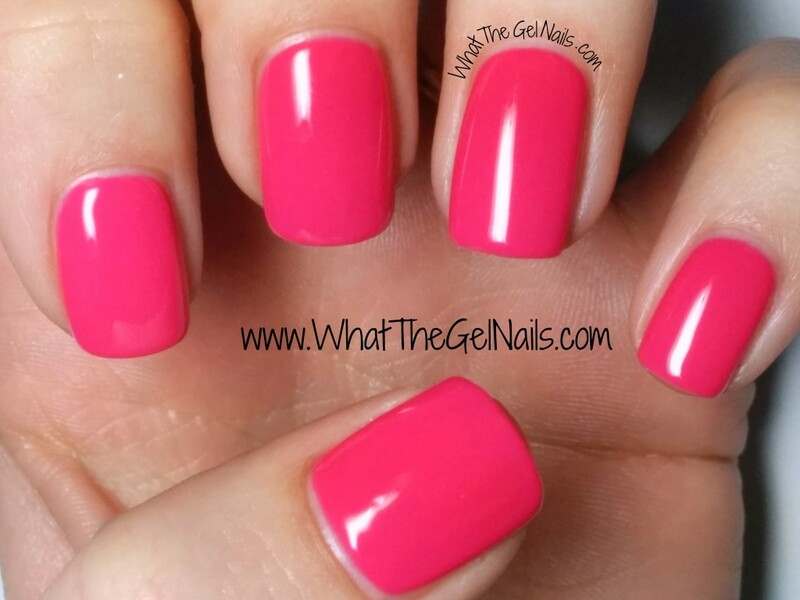 Subscribe Now for more gel polish swatches from What The Gel Nails. How similar/different are IBD colors ingenue and frozen strawberry? I have ingenue but I keep eyeballing frozen strawberry.